This past Saturday, UFC 117 was not the only MMA show going on. Over in Atlantic City, NJ at Bally's Hotel and Casino there was an MMA show put on by some new guys. Oh, you might have heard of them; M-1 Global. If by now, you have not picked up my sarcasm regarding the “new guys” of MMA then stop reading this and get back to your game of Quidditch. This was my first time attending an M-1 event and I have to say, I was pleasantly surprised and the show far surpassed my expectations. M-1 even brought Fedor Emelianenko to town for a press conference and to sign some autographs. This went over very well amongst the MMA purists that were in attendance. It was a fantastic session with a lot of great questions from the press and fans alike. I had an absolute blast! Bally’s Grand Ballroom was rocking from wall to wall with some fired up fans that were ready to see some knock down, drag out fights. My esteemed colleague, Kahl-One will be posting the video of the press conference and a highlight reel as soon as he is done editing them. I assure you, it will be worth the wait! 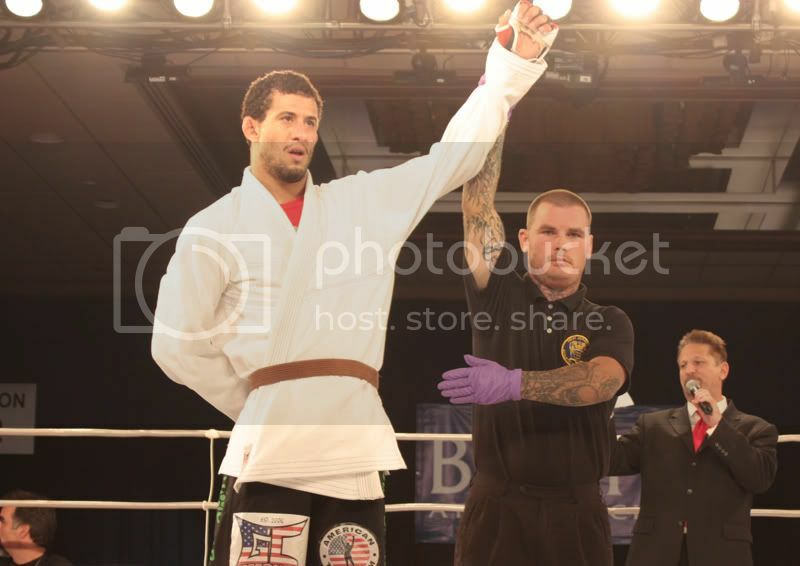 At the close of the final bout on Saturday night’s M-1 Selection Americas 2010 – Americas Semi Finals at Bally’s Casino Hotel in Atlantic City, frenzied fight fans bore witness to stellar performances as the tournament’s Finals round matchups materialized. The UFC isn't the only MMA happening tonight. M-1 Global's Selection Americas semi-finals is happening down here in sunny Atlantic City. All fighters have made weight, and they are ready to go. As the ring announcer for the event, I am ready too. Got my game face on! I want to address something about the UFC/M-1 Global situation. I've been hearing from several sources (including the Wall Street Journal) that when my rival ring announcer Bruce Buffer of the UFC found out M-1 had scheduled their show for tonight, he lobbied UFC president Dana White to counter schedule UFC 117 on the same date. I reject that accusation against Bruce. He and I are friends and I don't believe he would do that. His brother Michael, maybe. But not Bruce. Also want to mention Team Bombsquad. I saw Ryan Ciotoli down here because he has fighters in 40 percent of M-1's semifinals. That's pretty amazing and comes on the heels of my article about Team Bombsquad having two guys in the UFC on Versus show last week. Gary "G-Money" Marino and Ryan both do a great job with Team Bombsquad and it's going to be a pleasure announcing their guys in the tournament. As for the tournament itself, damn, this thing is stacked. It's going to be a brutal night of action, only made better by an appearance by the GOAT, Fedor Emelianenko. I'm very excited to meet Fedor again, he is MMA royalty. After the jump check out all the match ups and find out how to watch for free tonight. See you in the ring! New York City, New York – Closing in on the M-1 Global Selections 2010 – Americas Semi-Final world tournament event taking place August 7, 2010 at Bally’s Casino Hotel in Atlantic City, New Jersey, the M-1 Video Diaries are giving fans the opportunity to see a glimpse into the lives of professional fighters. M-1 Global's Selection Americas tournament continues on August 7th at Ballys in Atlantic City, NJ. I'll be there, of course, doing in the ring announcing, and I am already practicing my introduction of the great Fedor Emelianenko to the crowd. So pumped about this card and seeing Fedor. Here are the semi-final match ups, along with some more tourny info. M-1 Global's Selection in Western Europe finished up yesterday, and Fedor was in attendance. Our friend Igor Karaev provided this video, which gives an overview of the event, and some glimpses of the Last Emperor himself. Fedor will be in attendance at the NJ Selection tournament on August 7th, and I've already started practicing announcing him to the crowd. After the jump, check out the complete results from the Western Europe Finals. New York City, New York (July 21, 2010) – Seeking out Europe’s next mixed martial arts superstars, M-1 Global’s highly anticipated M-1 Selection 2010 – Eastern and Western Europe Finals take place live from Moscow, Russia on Thursday July 22; live streaming of the event is available on the M-1 Global website starting at 11:30AM EST / 8:30am PST. As first reported earlier in the day by MMAJunkie.com, UFC veteran Eddie Sanchez (12-3 MMA, 2-0 BFC) will be participating in the upcoming Bellator Season Three Heavyweight Tournament. Although an opponent has yet to be determined, Eddie comes in as the fifth confirmed heavyweight for this eight man tournament. 28 year old Sanchez held a record of 3-3 during his time in the UFC before being cut following back to back losses to Justin McCully and Antonio Hardonk. Since that time Eddie has been on a tear by going on a four fight winning streak and impressing MMA fans around the world with a 10 second knockout of Jay White inside of the Bellator cage. I'm in a better place right now – mentally and physically – than I have been in years. I feel like I'm in the best shape of my fighting career, and more than anything, my head is right. I belong here in this tournament with the rest of the top heavyweight talent Bellator has put together. I'm going to the finale and I'm going to win this tournament. If you want to see some great fights, head on over to Ballys in Atlantic City, where M-1 Global is holding Part 2 of their Selection Americas tournament. Tonight features the heavyweight division, so expect fireworks! If you feel that you'll miss the Fedor vs. Werdum fight, have no fear. That fight is going to be broadcast live at Ballys on the big screen. See you at the show! 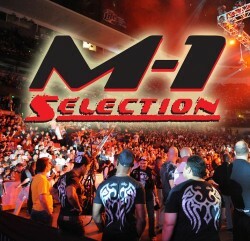 M-1 Selection Americas Tomorrow Night Live!